The recent Stagefright vulnerability in Android led to new expectations for security patches. Google, Samsung, and LG have all said they will work to get monthly security updates out to users, and now Android newcomer BlackBerry is doing the same. 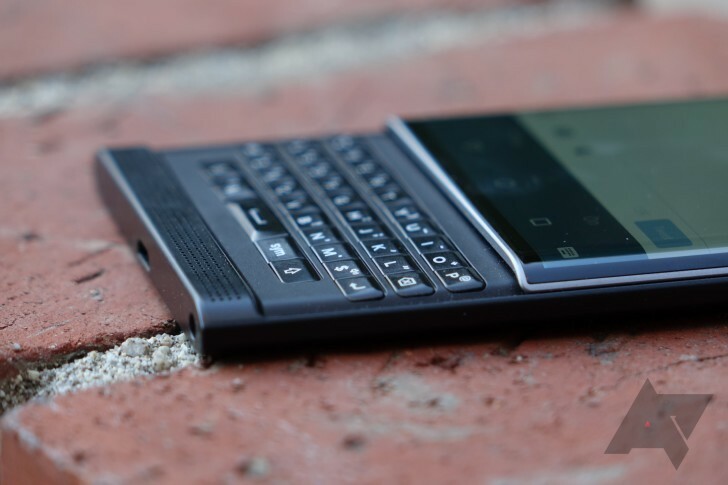 The company says buyers of the Priv can expect to get monthly patches, but there are a few caveats. 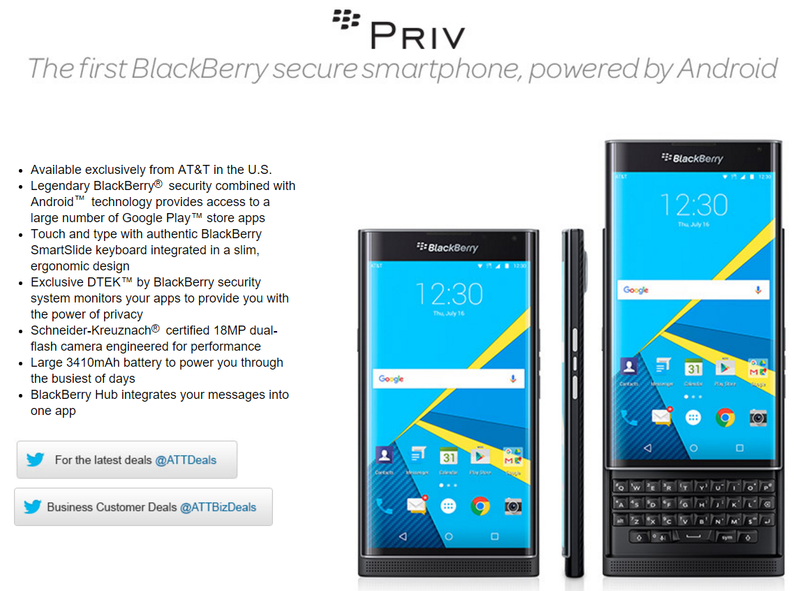 The PRIV is BlackBerry's first true Android device. 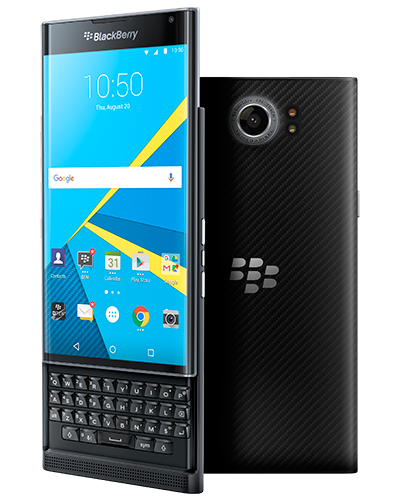 It's something that we, and a considerable portion of die-hard BlackBerry customers, have been looking forward to for a long time. But there are a couple of things that might make potential buyers trepidatious: one, a relatively high price tag of $699, and two, well, it's BlackBerry's first entry on a new software platform. So what are the highlights, aside from the obvious slide-out QWERTY keyboard? BlackBerry would like to show you. The video below is a highlight reel of what makes the PRIV different from other Android flagship phones. 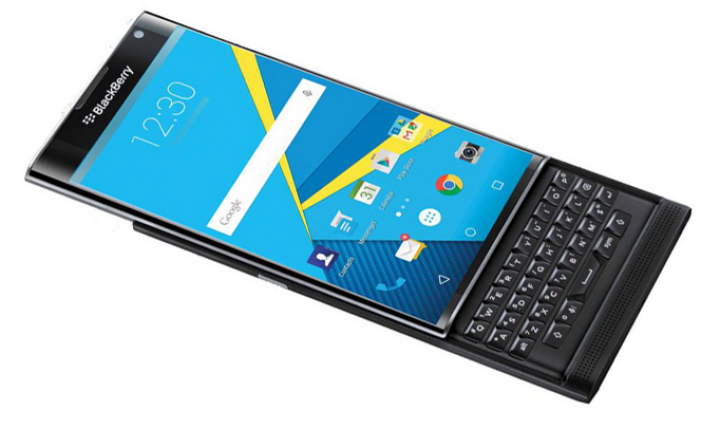 Earlier this week Blackberry's official online store posted a pre-order page for the Priv, a high-end QWERTY slider phone that also happens to be the company's first full Android device. Apparently that was a bit premature - it disappeared after a short time, but not so short that prospective customers didn't balk at the $749 USD starting price. Today the pre-order page is back with a slightly cheaper price: $699. Was the original page an error or did Blackberry see the quick reaction and adjust it down? We couldn't say. 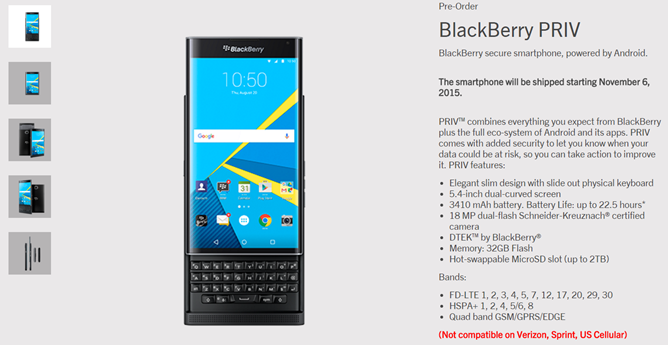 The page says the phone will start shipping on November 6th. After years of trying to make it work with its BlackBerry OS, the once-dominant Canadian smartphone maker is giving Android a shot. 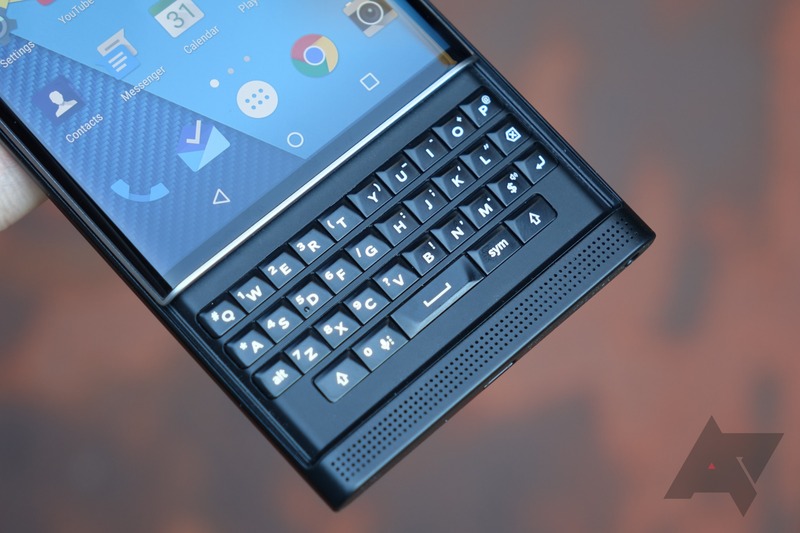 The company acknowledged the existence of the Priv (previously codenamed Venice) with an awkward video demo by the company's CEO, but now there's a more professional intro video out.